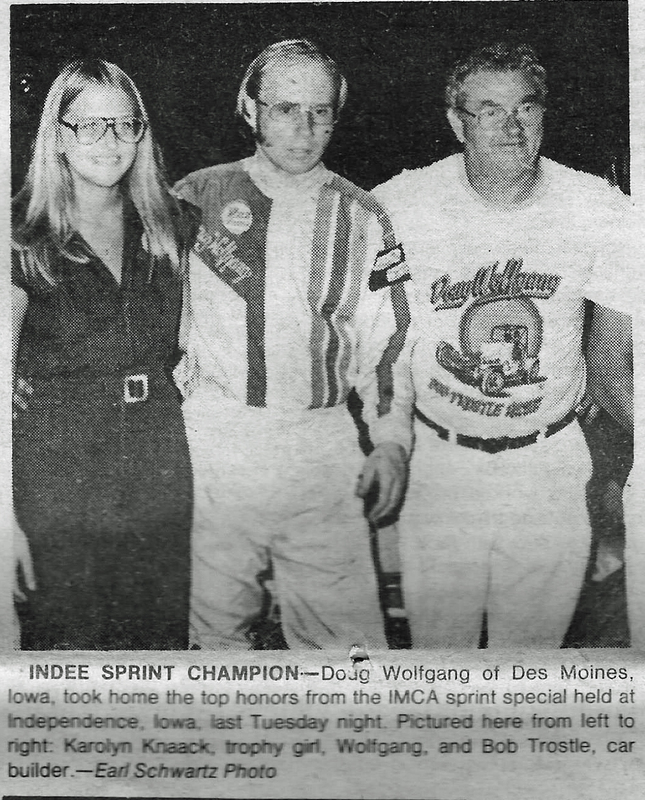 Independence, Iowa (August 4, 1977) – Doug Wolfgang of Des Moines won the 25-lap IMCA sprint car feature at the Buchanan County Fairgrounds on Tuesday evening. 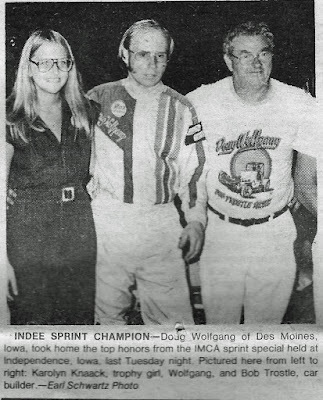 Wolfgang made believers out of the enthusiastic crowd as he began the evening by setting fast time and a new track record of 15.669 seconds on the excellently prepared 3/8-mile high-banked oval. 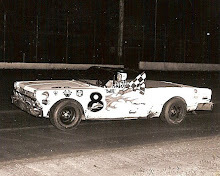 With the top six cars inverted, Wolfgang would work his way from his outside third row starting spot to duel with Rick Ferkel of Findlay, Ohio, and early leader Jimmy Boyd of Dixon, Calif. Wolfgang would take over the lead when Boyd got high in turn four on lap 10. Ferkel would attempt to close the gap in the latter stages of the race but Wolfgang proved to be too strong. The feature race ran smoothly with only one caution flag coming out during the 25 laps. 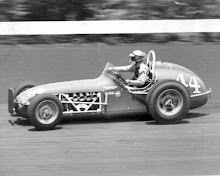 Jimmy Sills of Sacramento, Calif., would follow Wolfgang and Ferkel across the finish line to take third followed by Lee James of Northridge, Calif., and Roger Rager of Mound, Minn.
Jimmy Boyd would win the trophy dash while heat win went to Wolfgang, Boyd, and Lenard McCarl of Des Moines. James won the 10-lap semi-main. Trophy dash – Jimmy Boyd, Dixon, Calif.
B-main – Lee James, Northridge, Calif.
3. 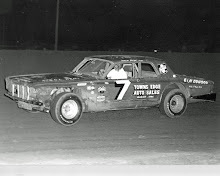 Jimmy Sills, Sacramento, Calif.
7. 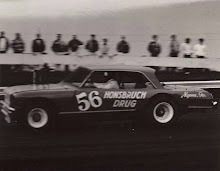 Dave Engebretson, Sioux Falls, S.D. 8. 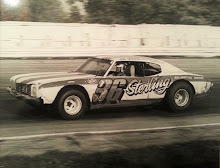 Bill Utz, Sedalia, Mo.